A lot of people think launching keelboats will be difficult. Well, at Datchet with Flying Fifteens, it’s a breeze….. Click on the YouTube video link here . As you can see in the video, launching is simplicity itself. It helps to have three particular pieces of kit. First is a good stout trailer rope about 40-50 feet in length. The next item which is really helpful is a length of ordinary drain pipe situated on each side support of your trailer. (see photo to the right). 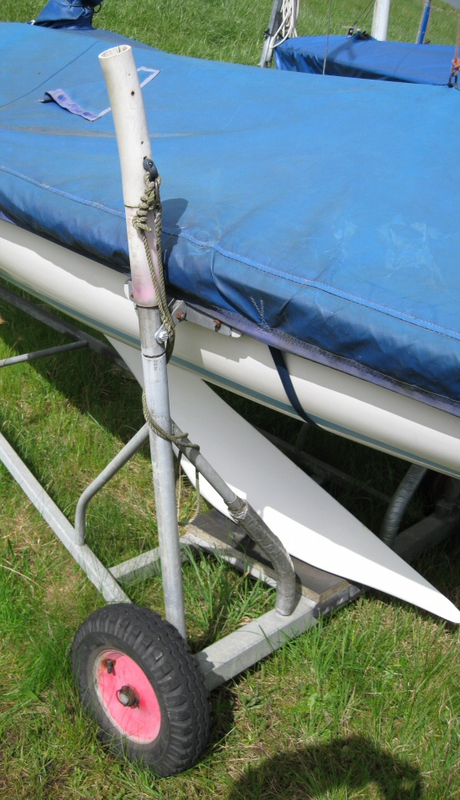 This is to make it easy to guide the boat on to the trailer when recovering. 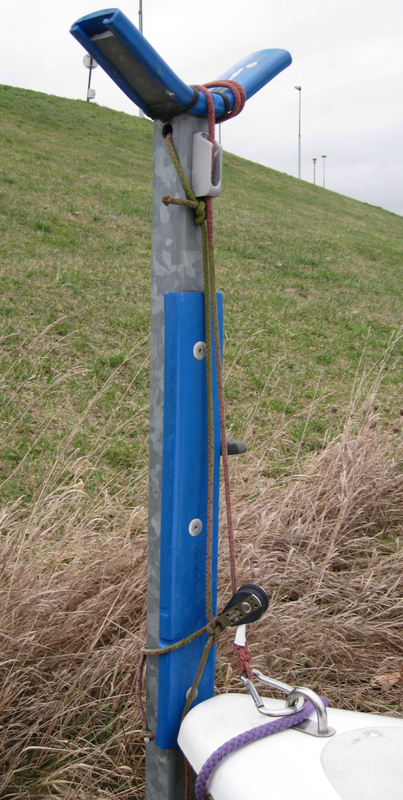 The third asset is a simple line and cleat system at the bow to secure the boat when you recover (see top photo). Recovering the boat is largely the reverse – see the second video here . The experienced teams don’t even get their feet wet in either direction! If the water level is high, the boats are easy to pull out manually. If the water level is low, generally the first boat out gets their car, and pulls everyone else out.